Do you have some small jobs that need finishing? Need a handyman? 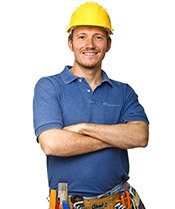 At LPC Maintenance we have a dedicated team who can quickly and efficiently complete any minor building or maintenance work. Contact us today if you have an odd job or two and require a highly skilled and able tradesman or handyman to attend your site or private property to add those finishing touches to your project. With LPC you can rest assured in the fact that we guarantee the quality of all work carried out, we ensure our tradesmen and handymen are the best and most able for the work in order to continue to maintain our high standards of quality. If you require any building or maintenance work and wish to take advantage of our local and reliable services please call us now on 0208 452 7397 and we would be happy to help you. We are based in Cricklewood and offer our wide range of services to London, Chiswick, Islington and surrounding areas.